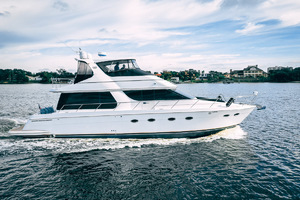 Introduced in 1998, the Carver 530 Voyager was head turning crowd pleaser and still a highly sought after Skylounge today. 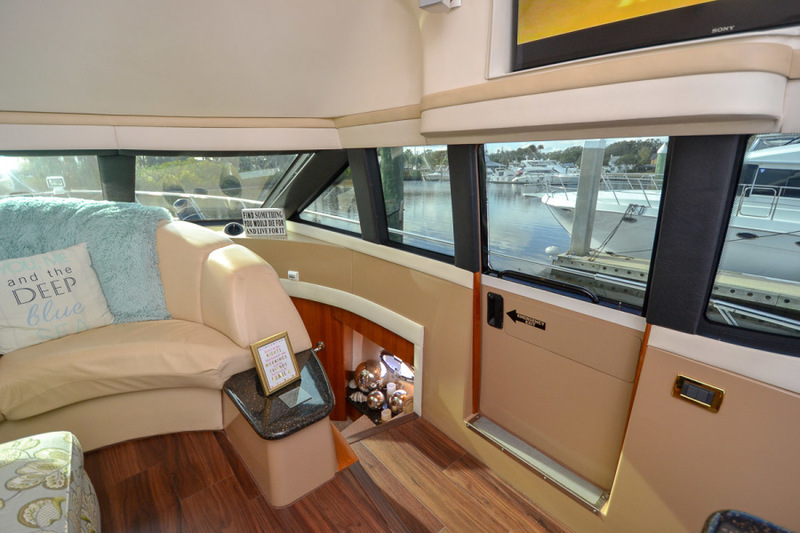 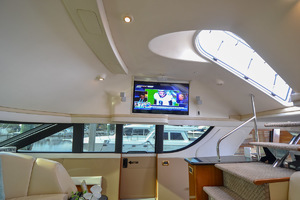 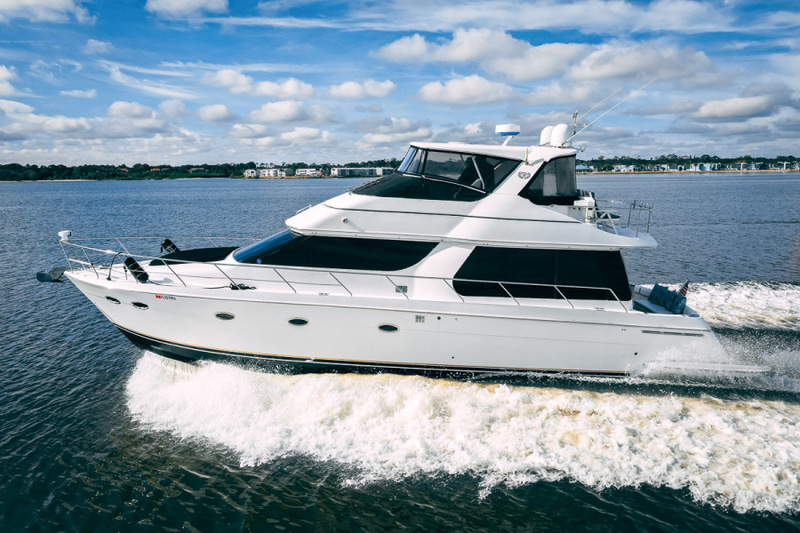 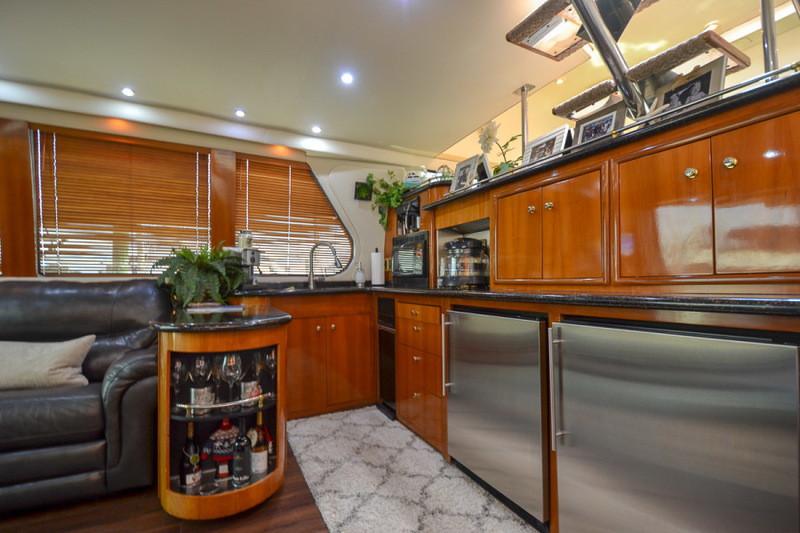 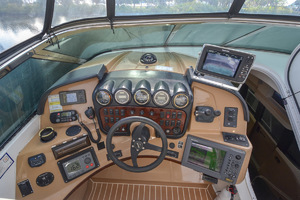 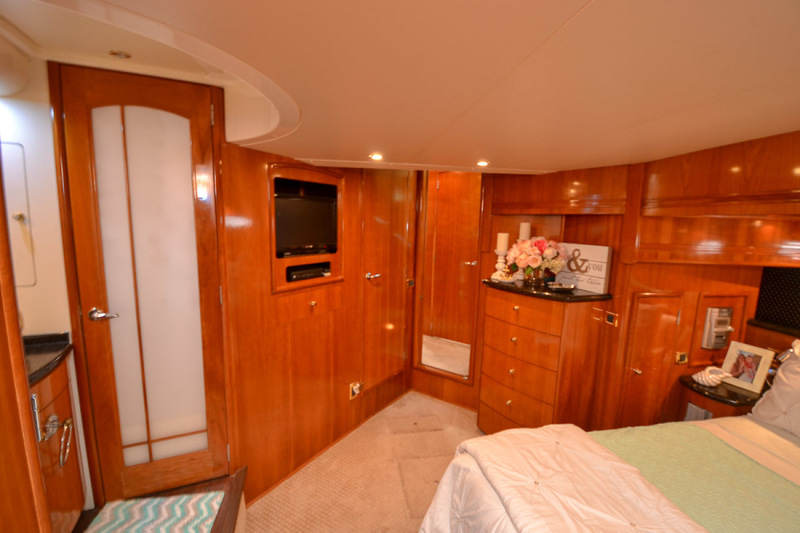 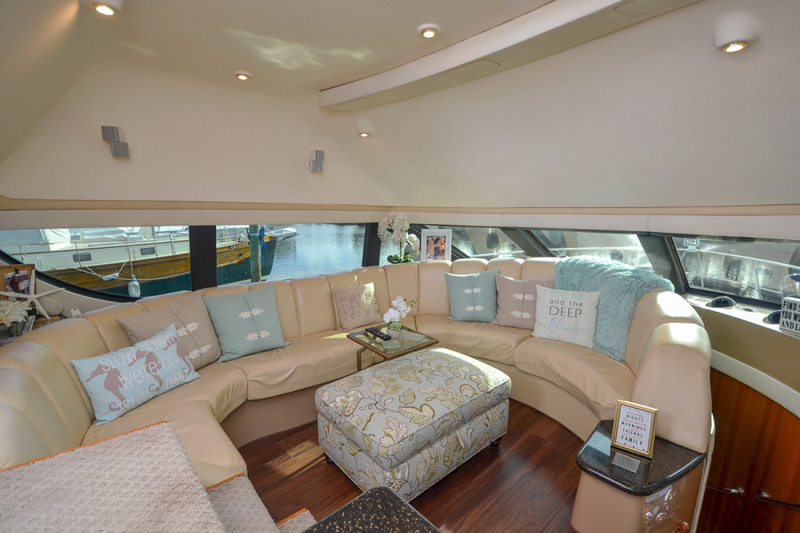 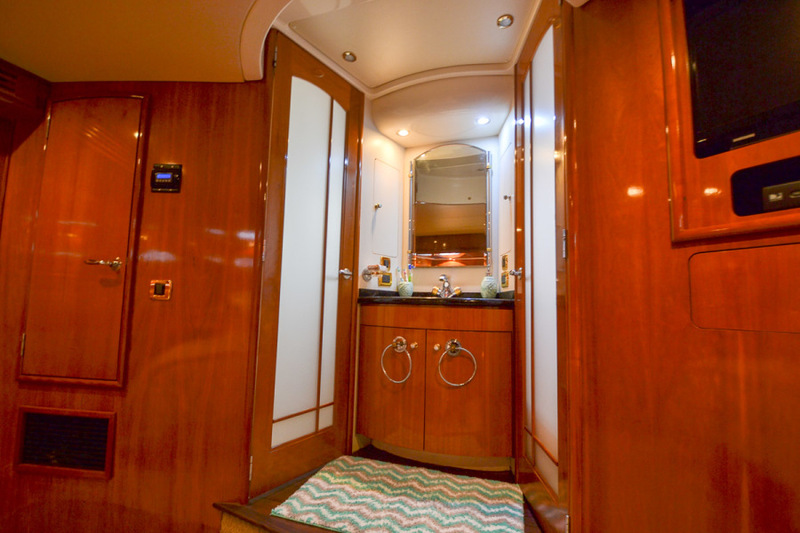 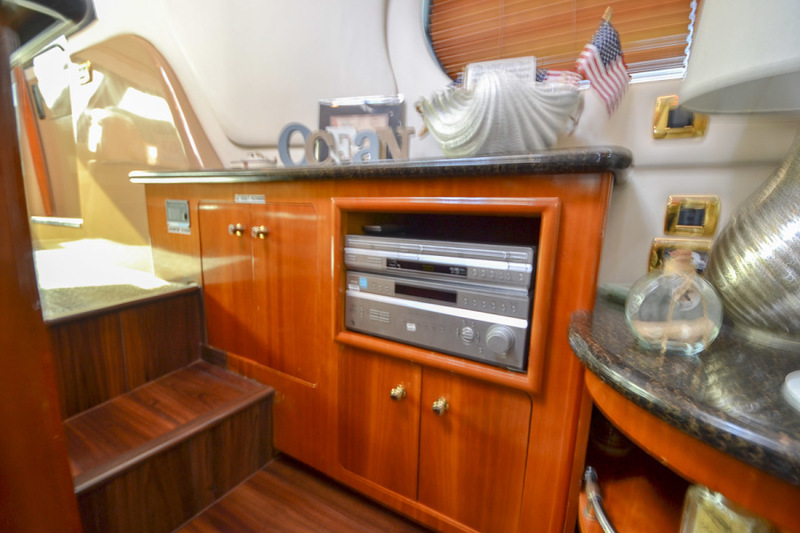 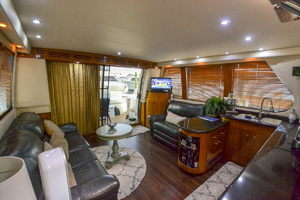 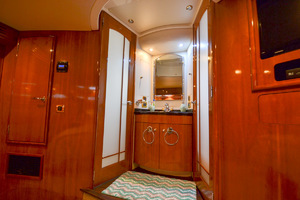 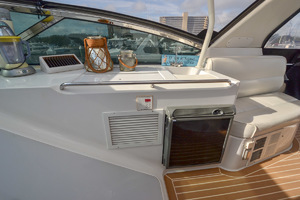 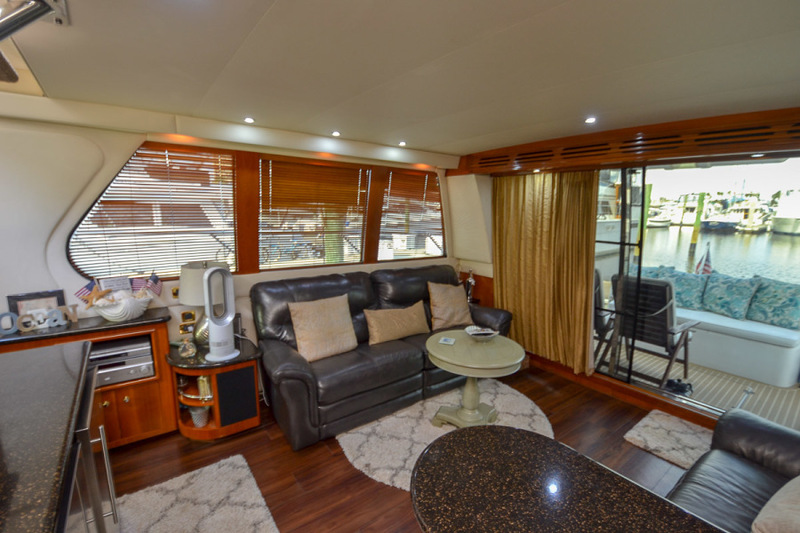 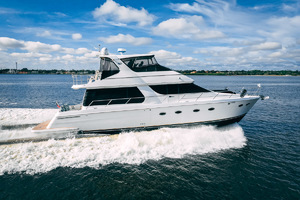 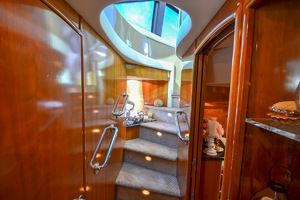 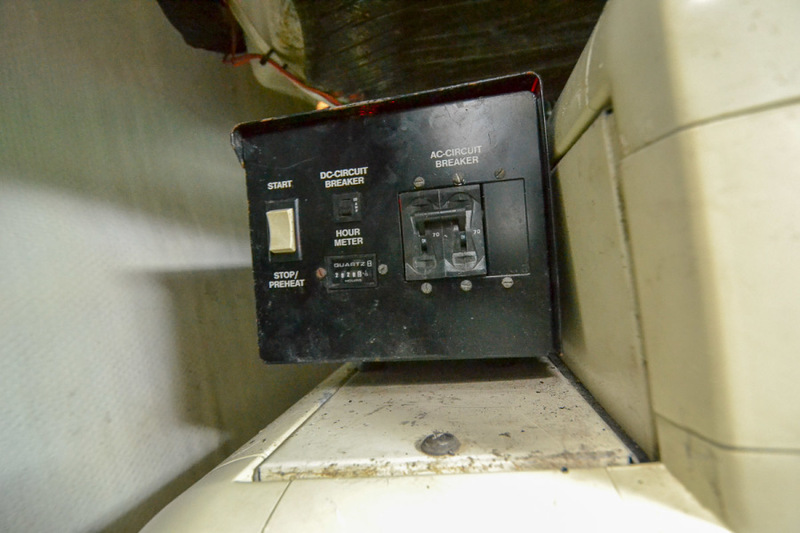 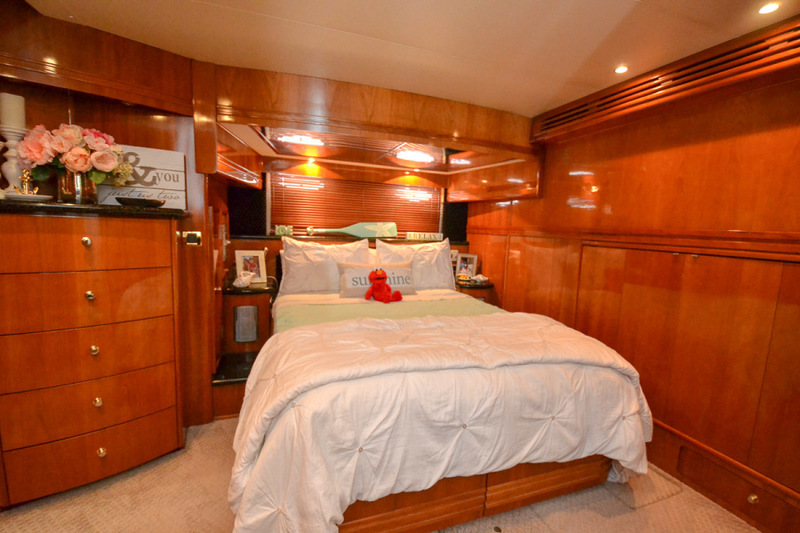 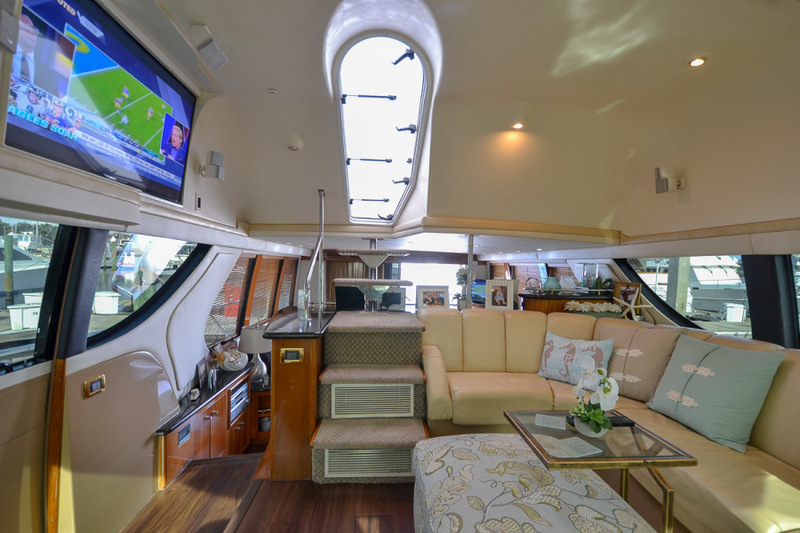 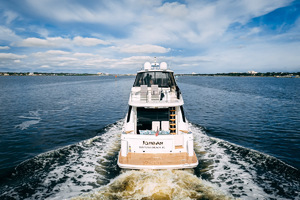 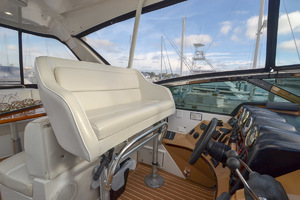 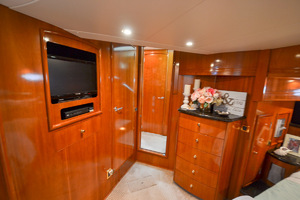 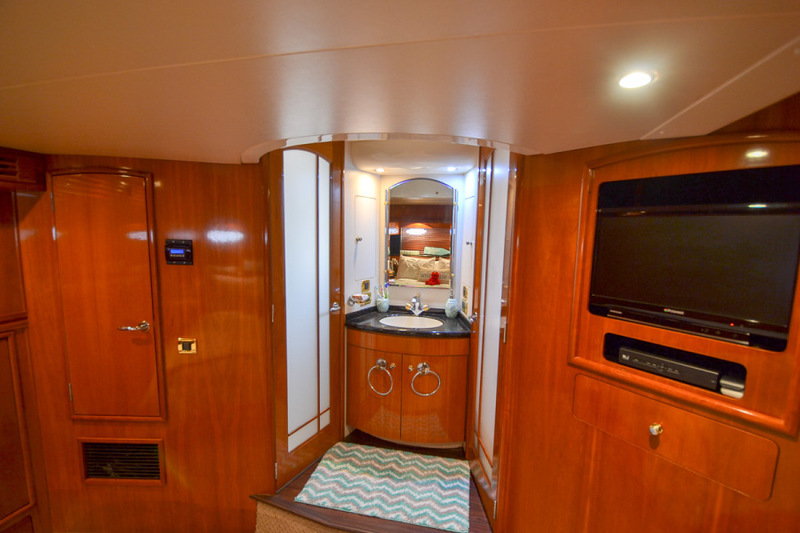 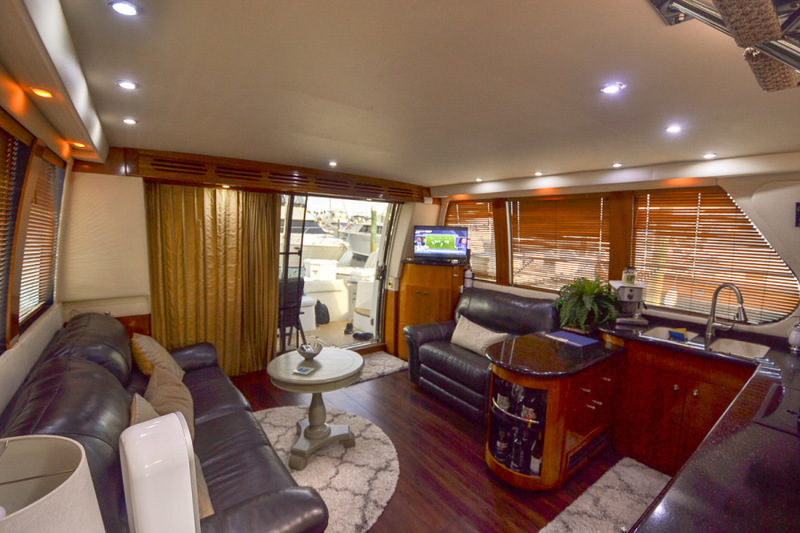 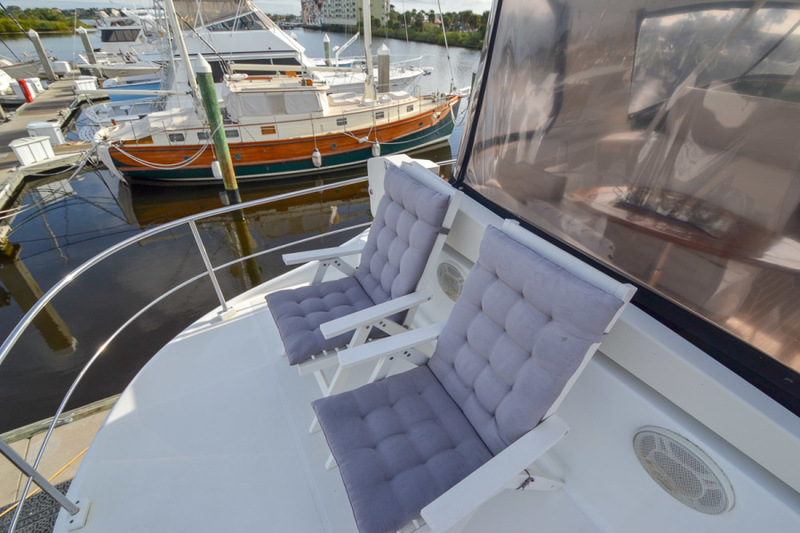 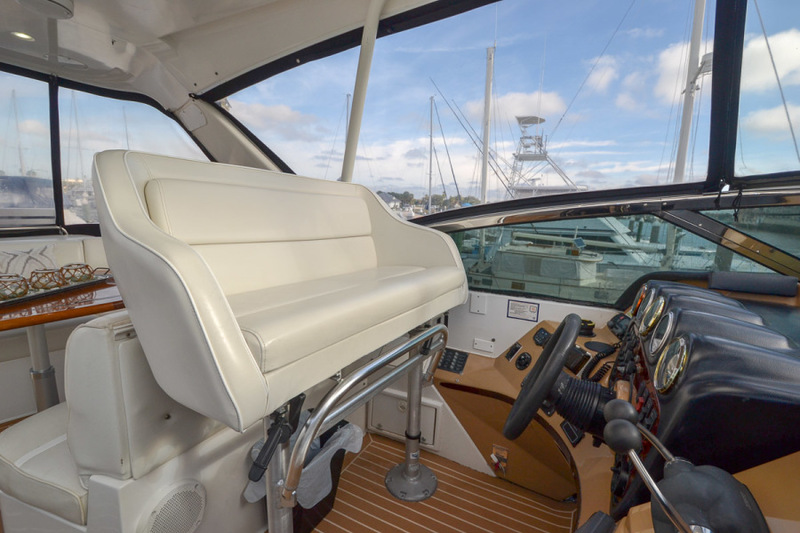 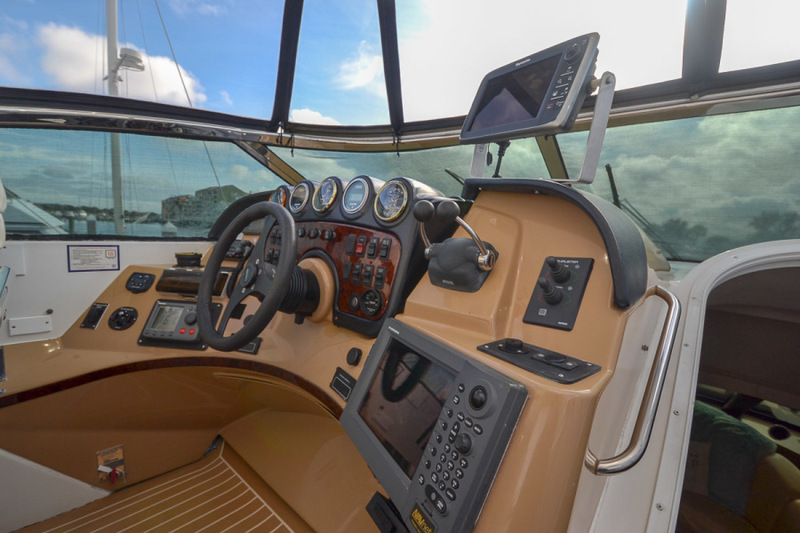 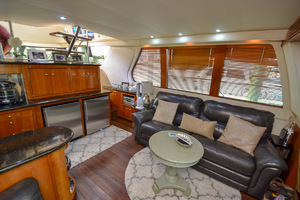 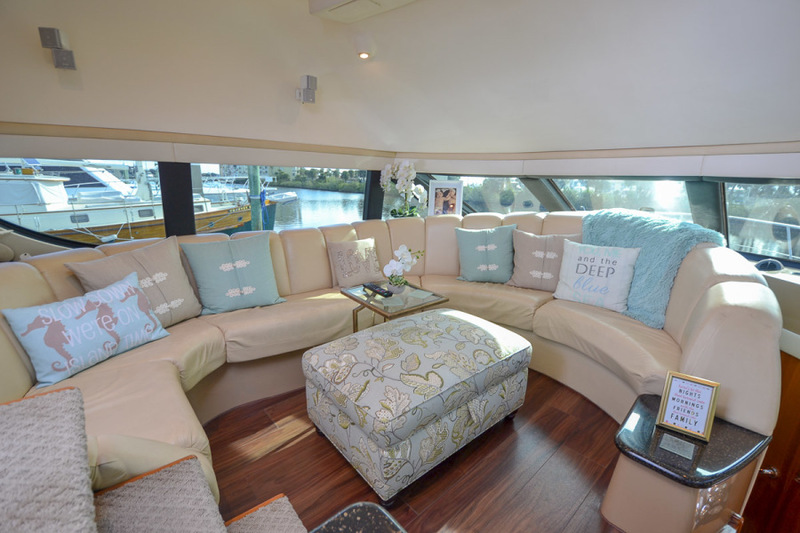 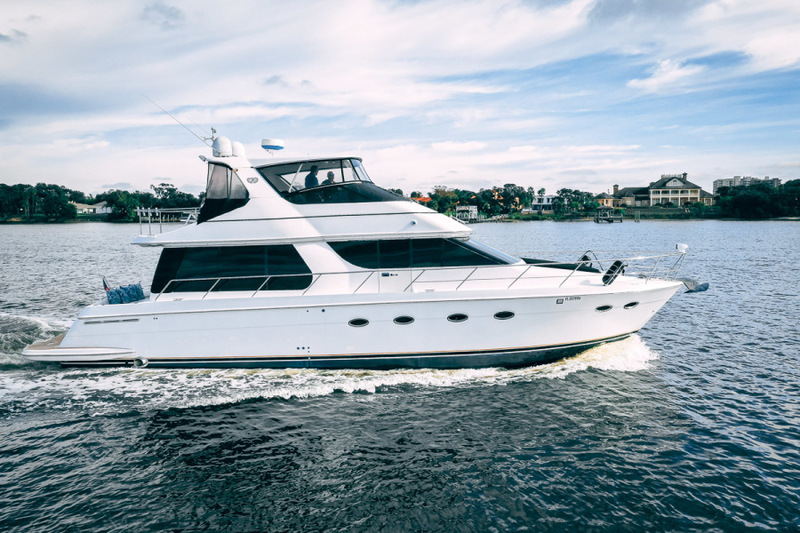 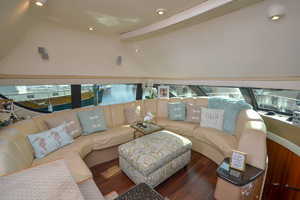 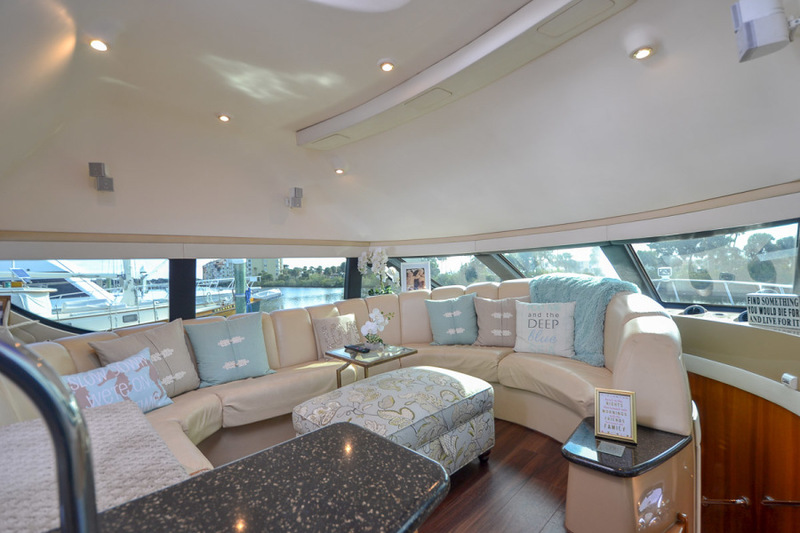 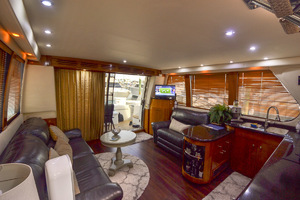 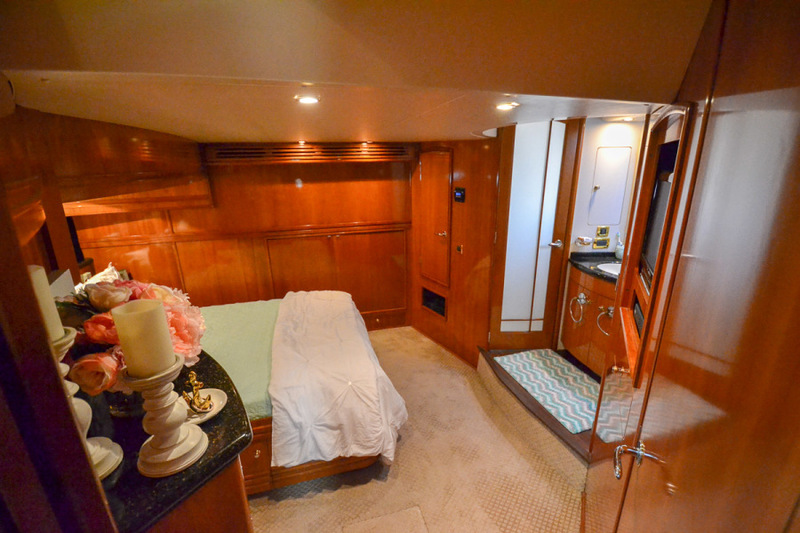 This 530 Voyager has the prefered Skylounge layout in lieu of the lower helm. 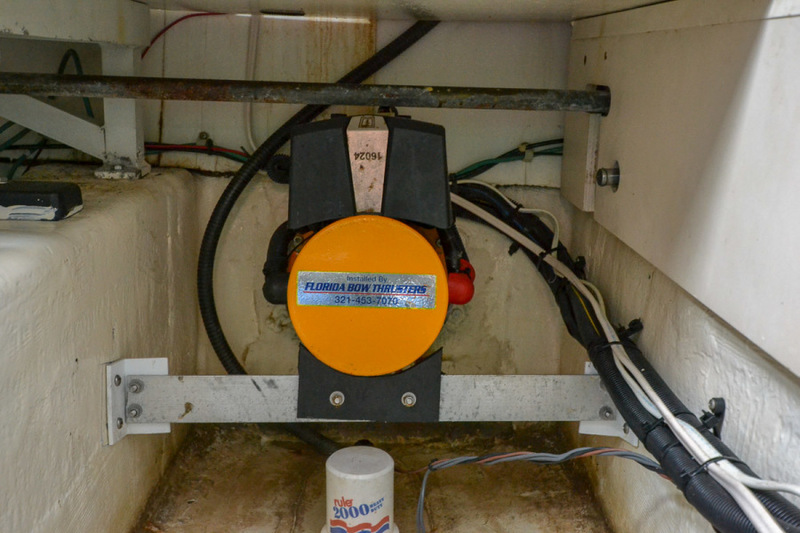 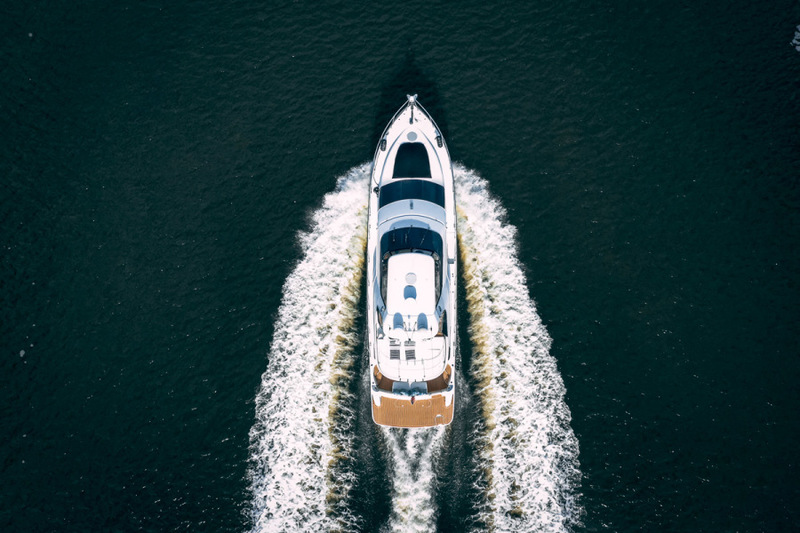 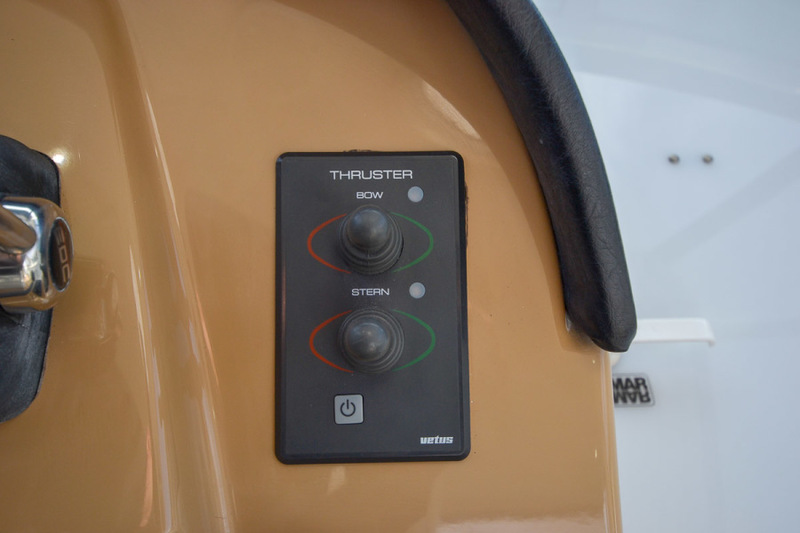 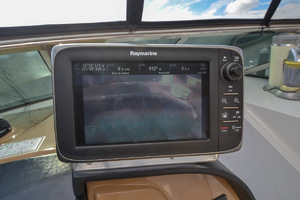 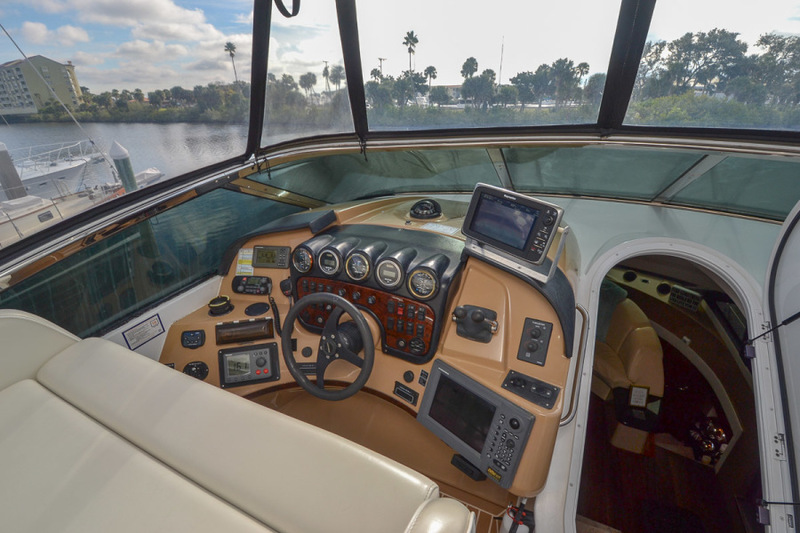 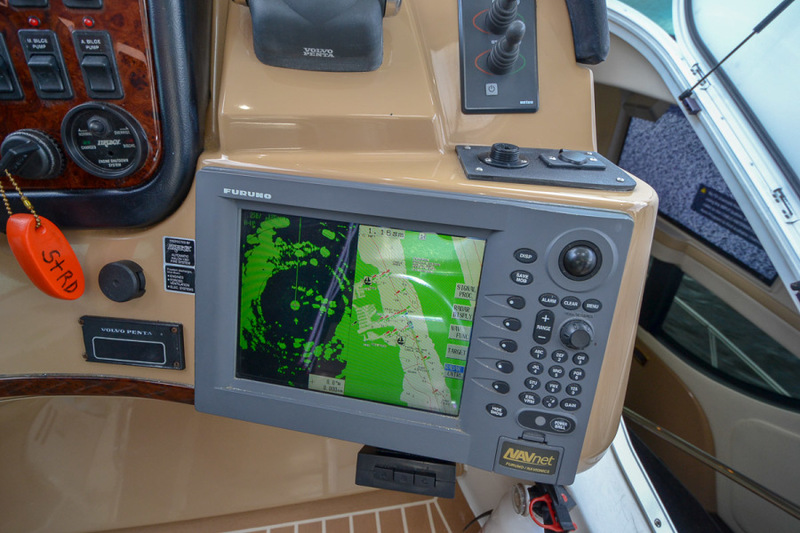 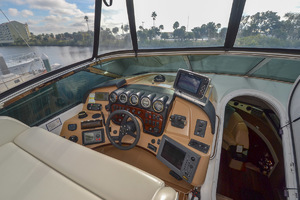 Equipped with a hartdtop, full enclosure and bridge A/C there is no reason to have a lower helm with our tropical climate and year-round boating season. 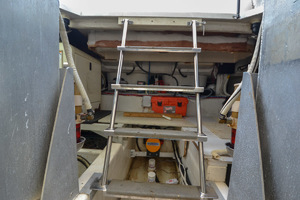 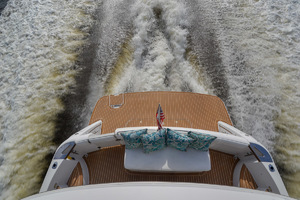 This modified-V hull allows for a smooth comfortable ride and calm at rest with its lower deadrise aft. 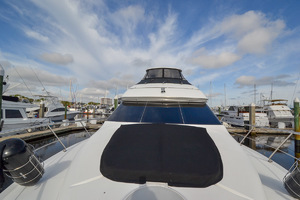 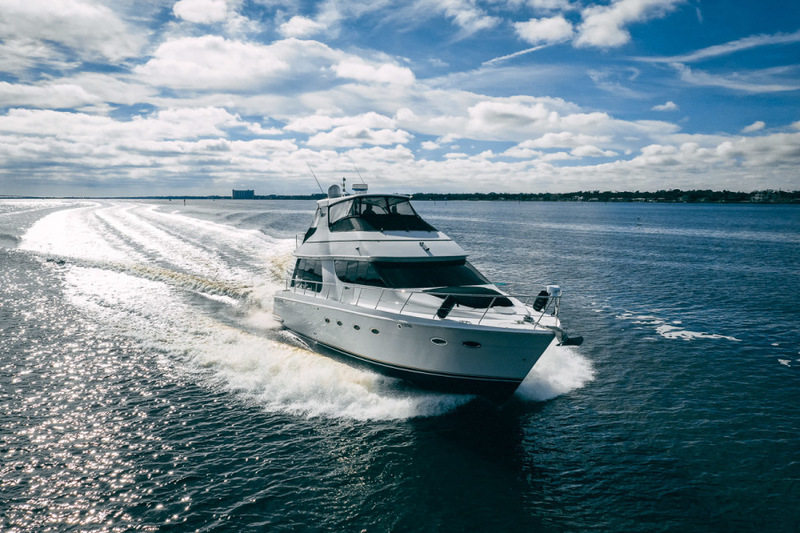 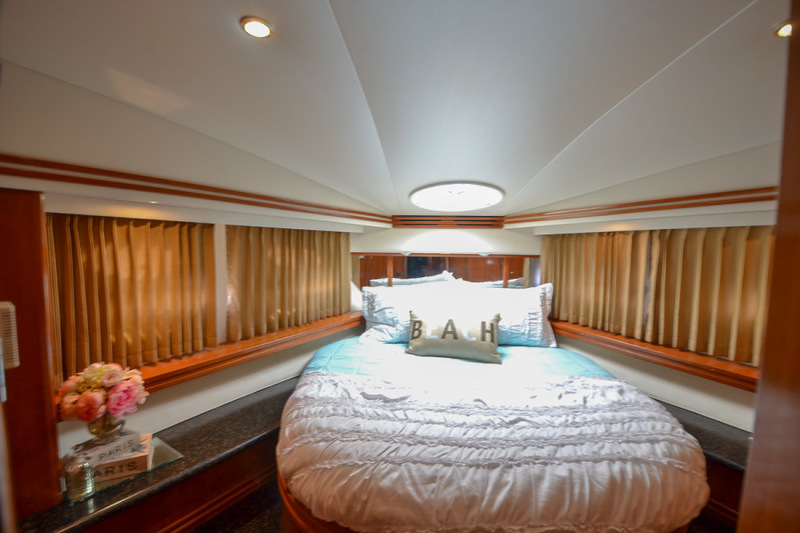 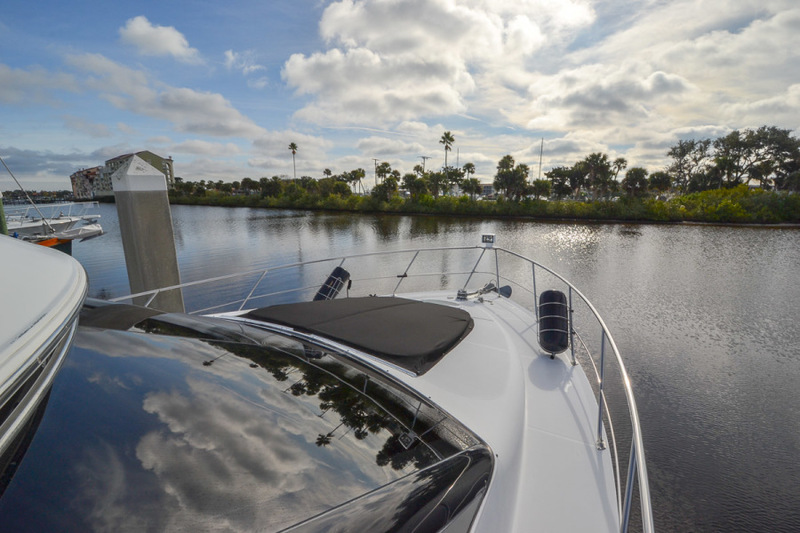 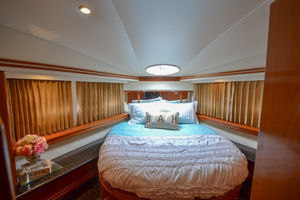 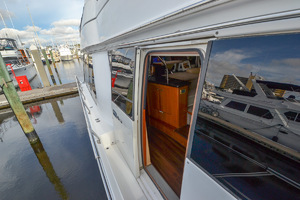 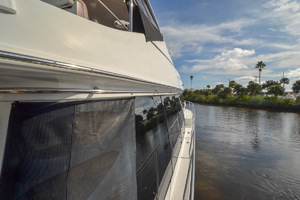 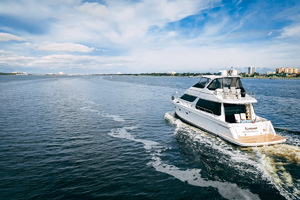 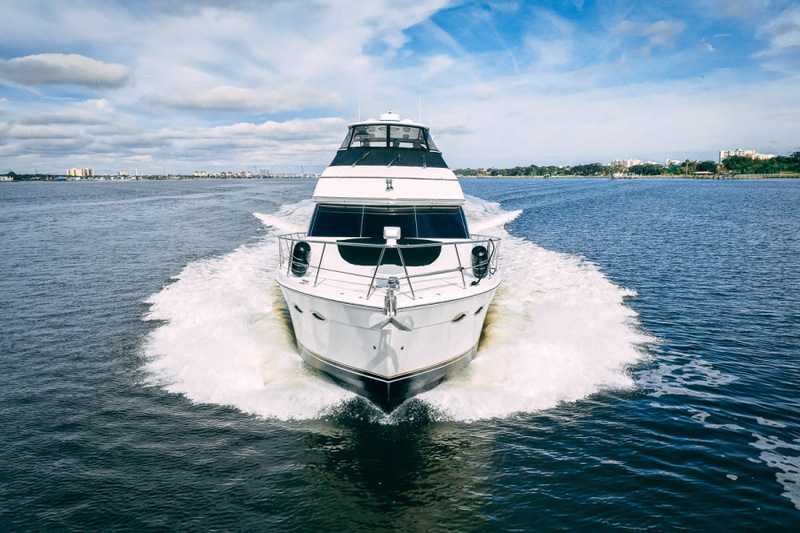 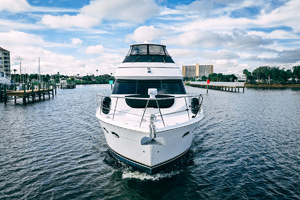 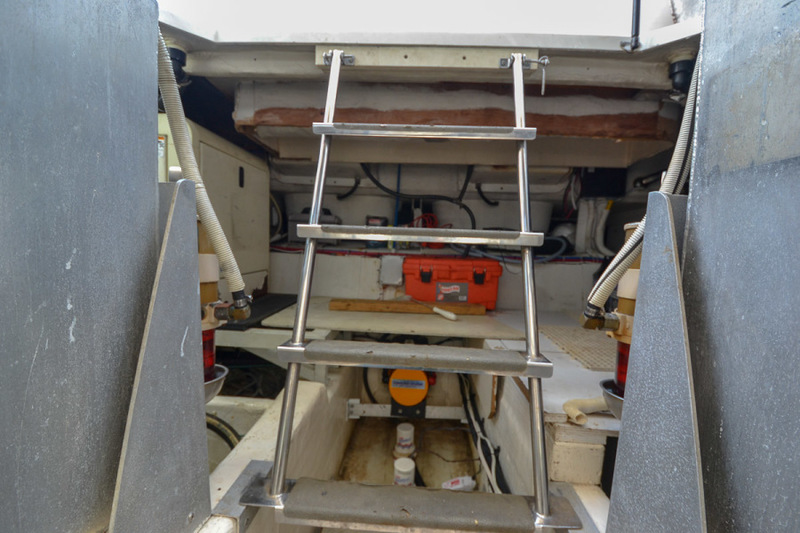 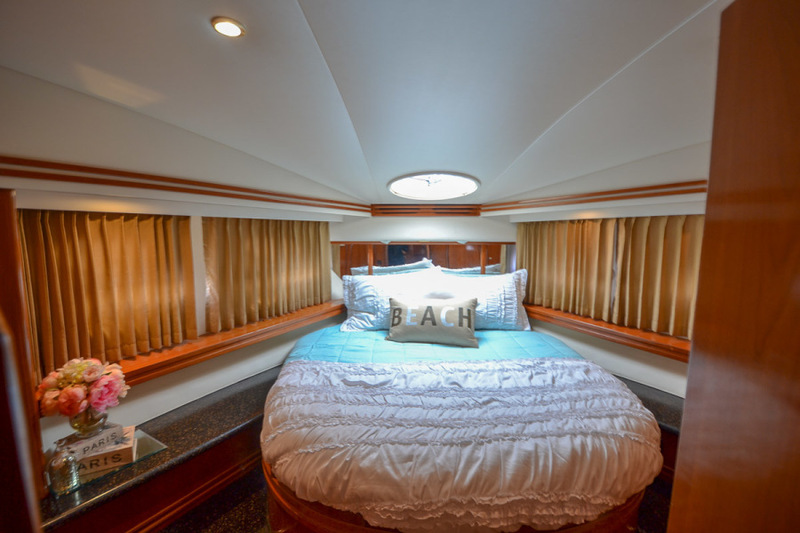 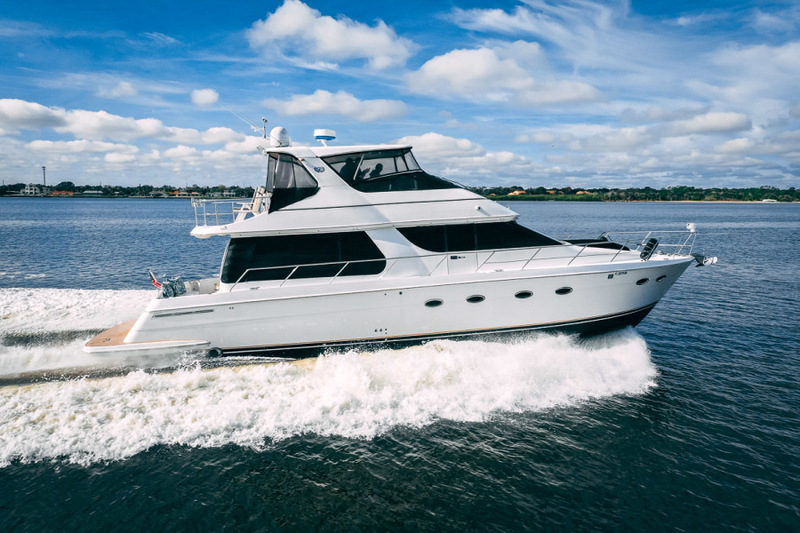 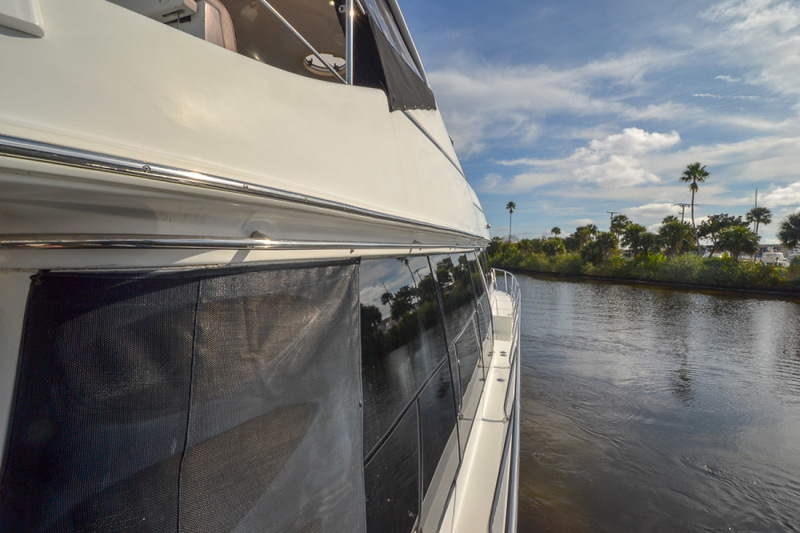 The full beam master has been a signature selling feature of the 53 Voyager. 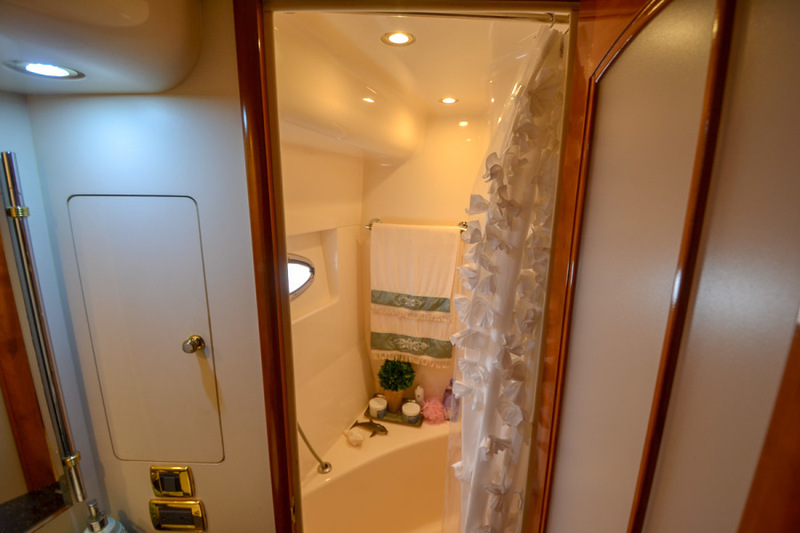 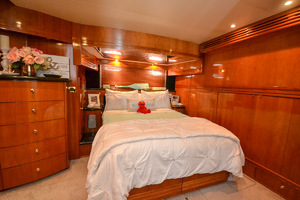 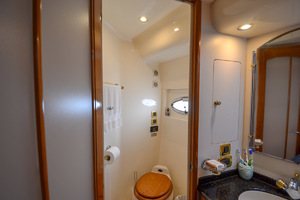 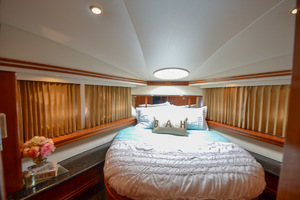 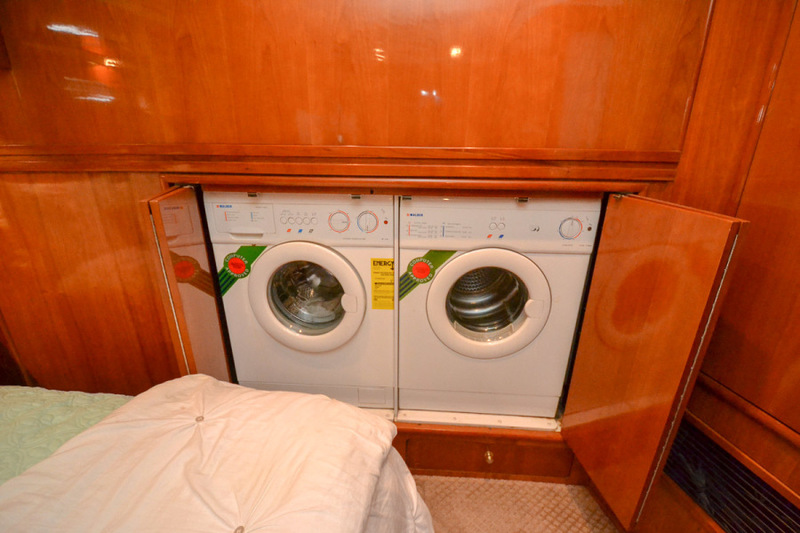 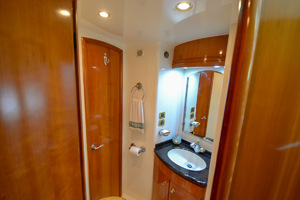 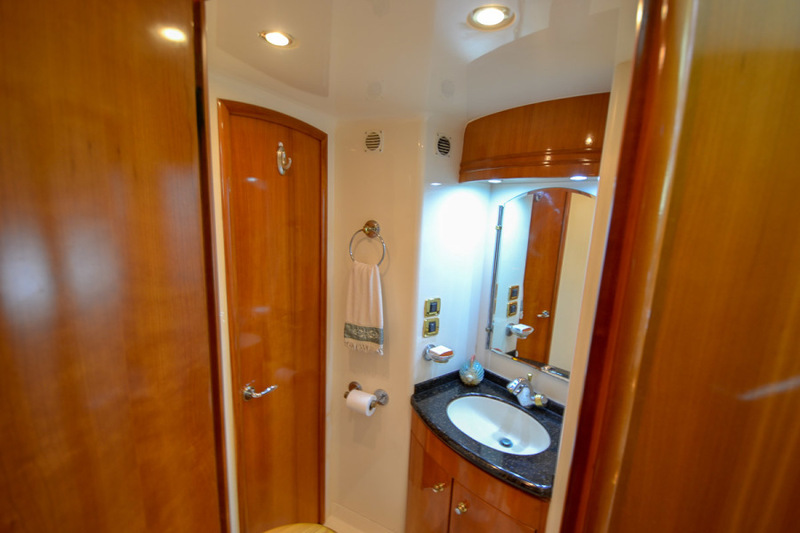 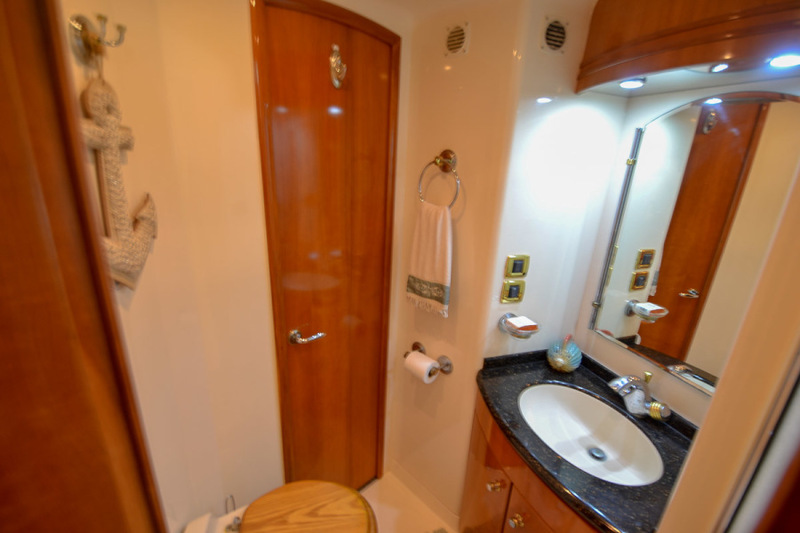 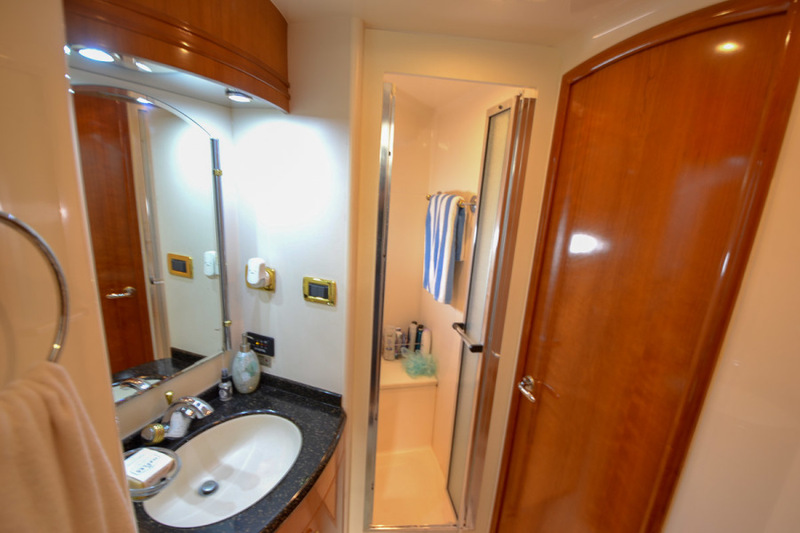 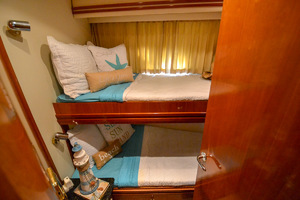 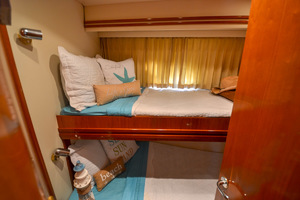 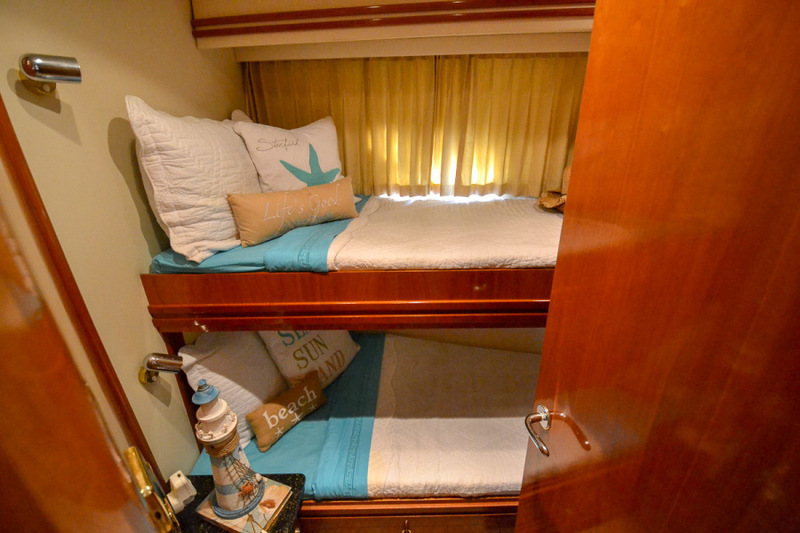 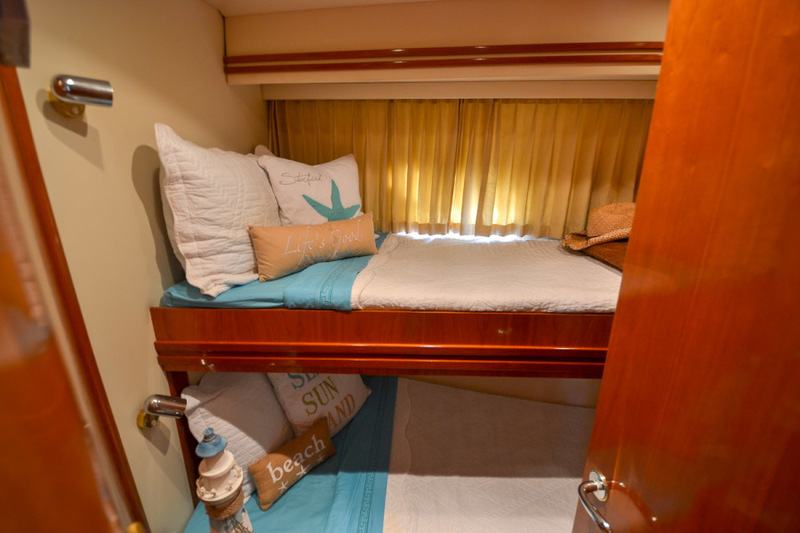 This 3 stateroom 2 head yacht and 1 bath tab will satisfy the most veracious cruising appetites. 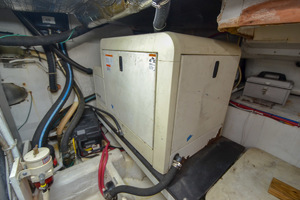 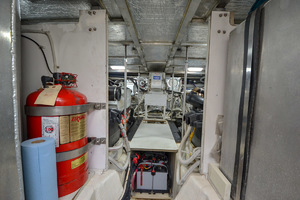 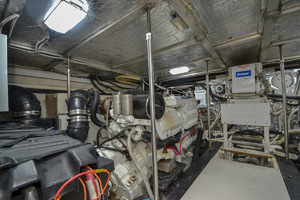 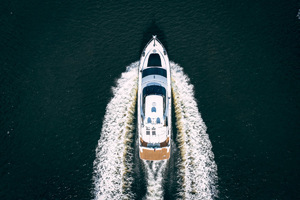 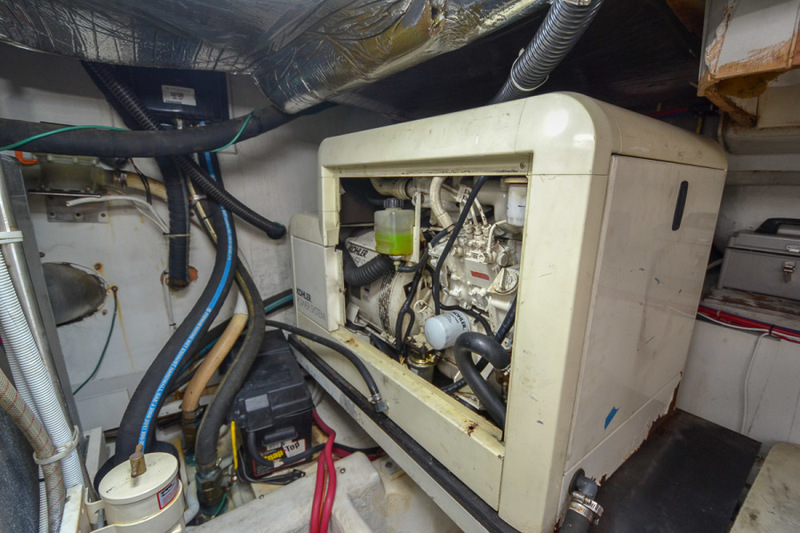 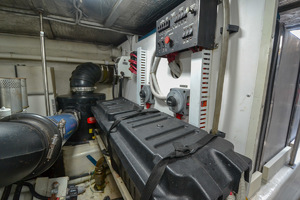 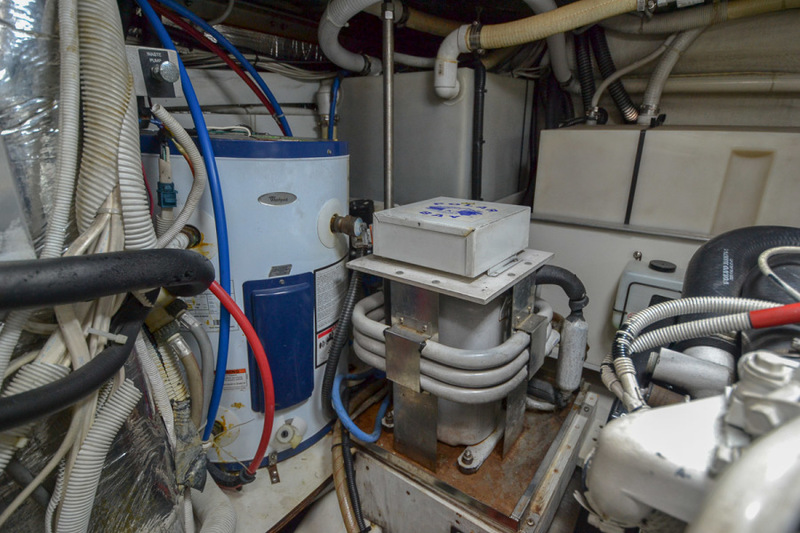 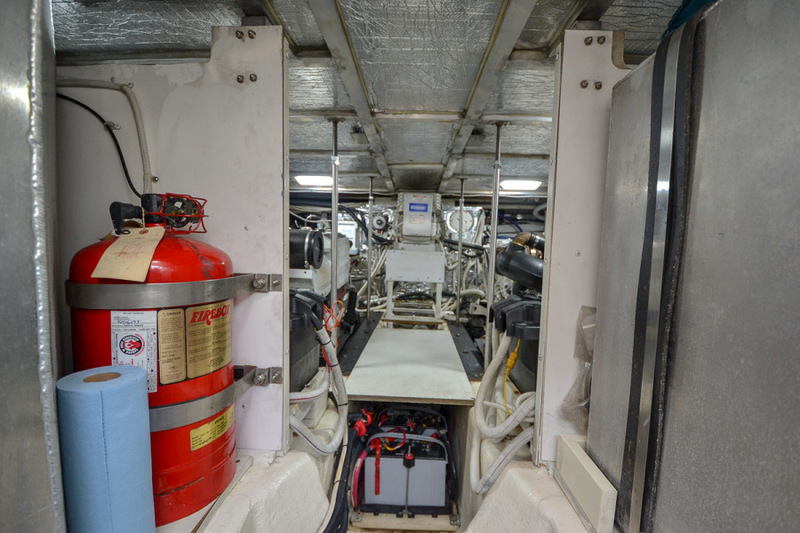 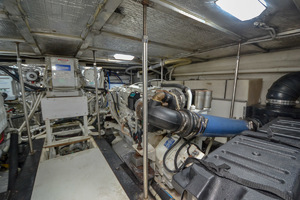 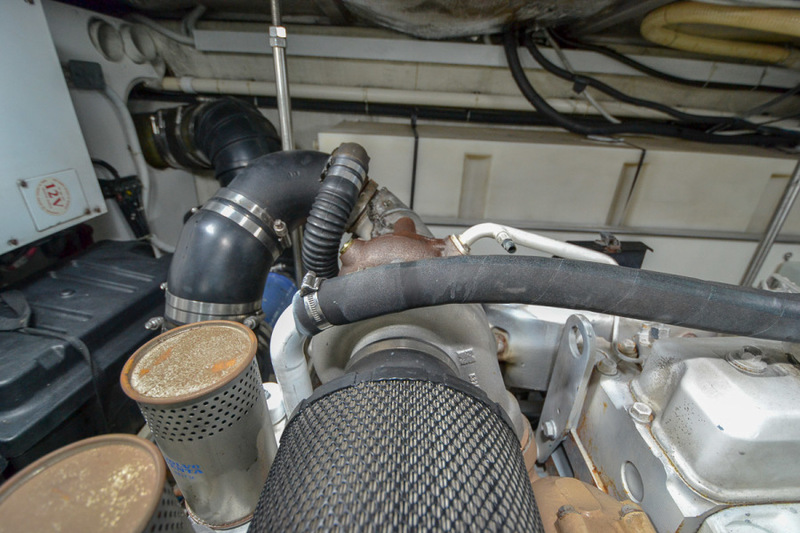 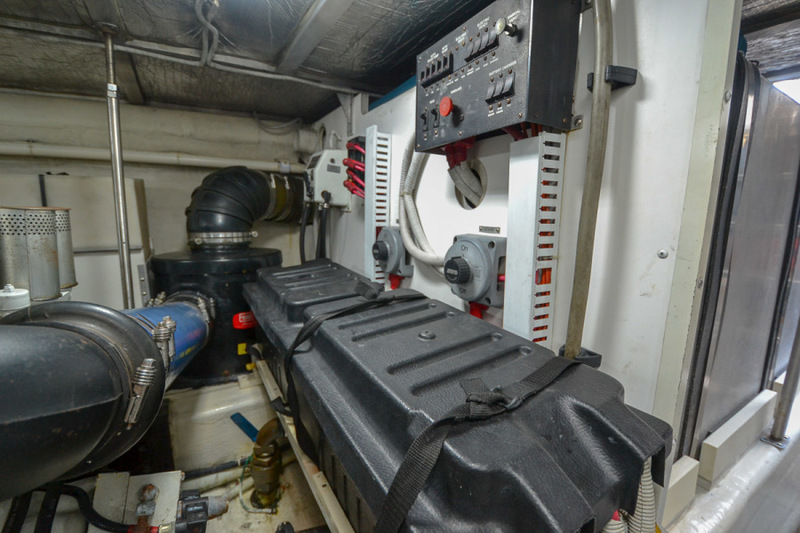 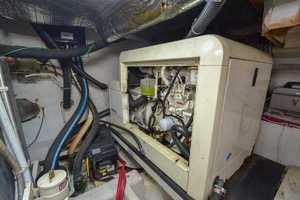 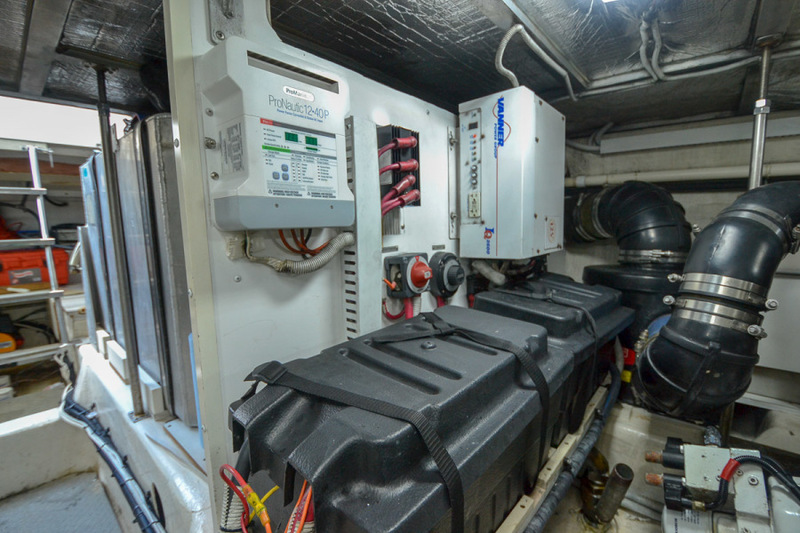 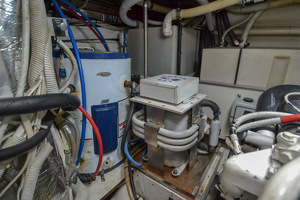 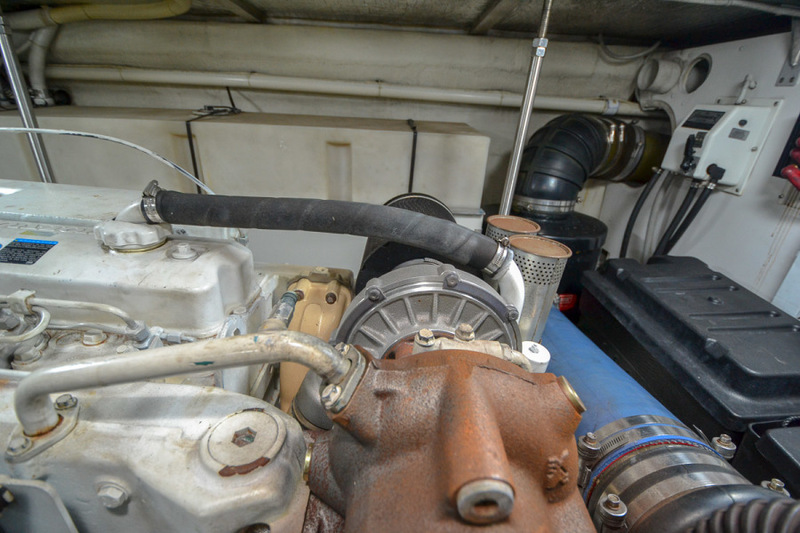 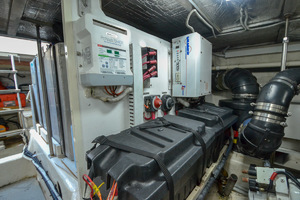 Powered by the twin Volvo Penta TAMD 74P (480hp each) with new elbows, turbos, batteries, Charles ISO boost, NEW salon AC & Master AC and recent service 04/2018. 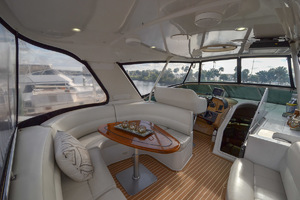 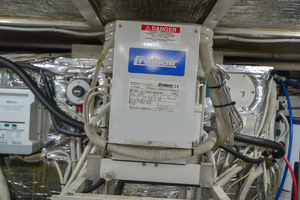 You are ready for a cruise to the Bahamas comfortably in the 17 mph range while hitting a top speed of 25 mmph. 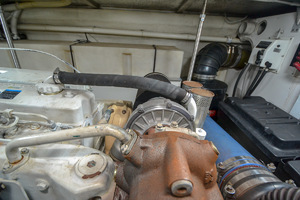 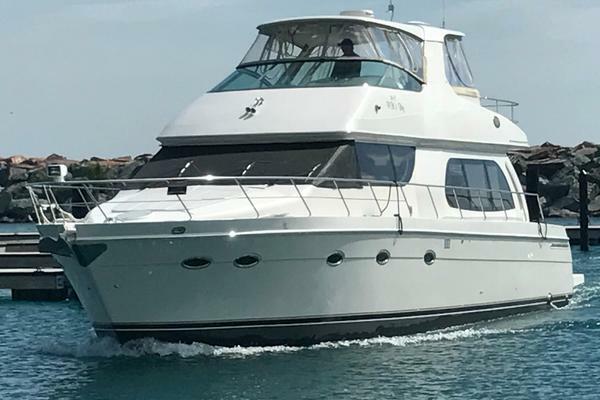 Ichiban has been well loved and maintained by its current owner and all service records can be made available to interested buyers. 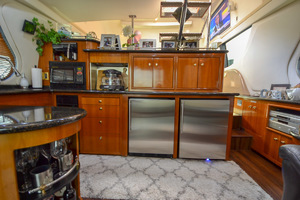 Contact us today for more information and a private showing. 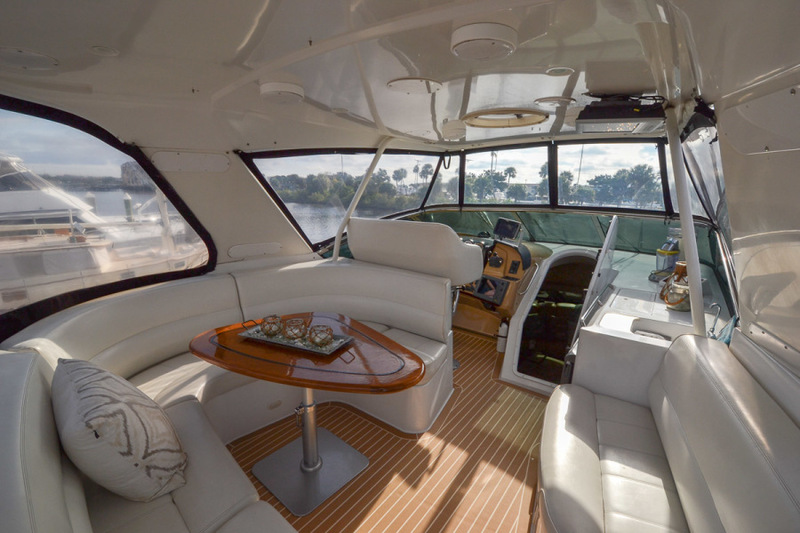 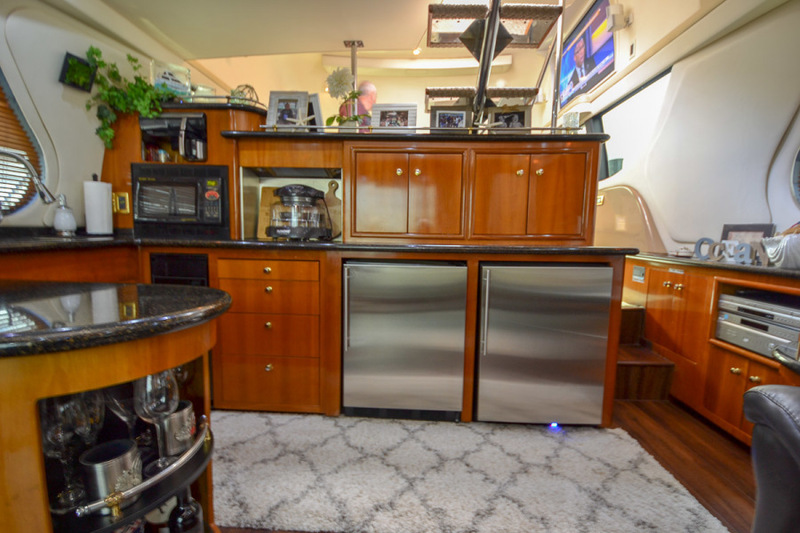 West Florida Yachts would love to guide you through a personal showing of this 53' Carver 530 Voyager Skylounge 2002. 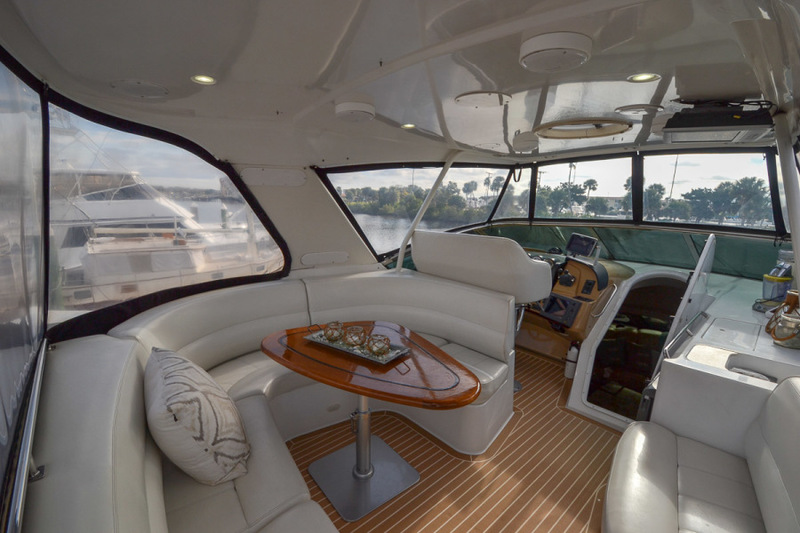 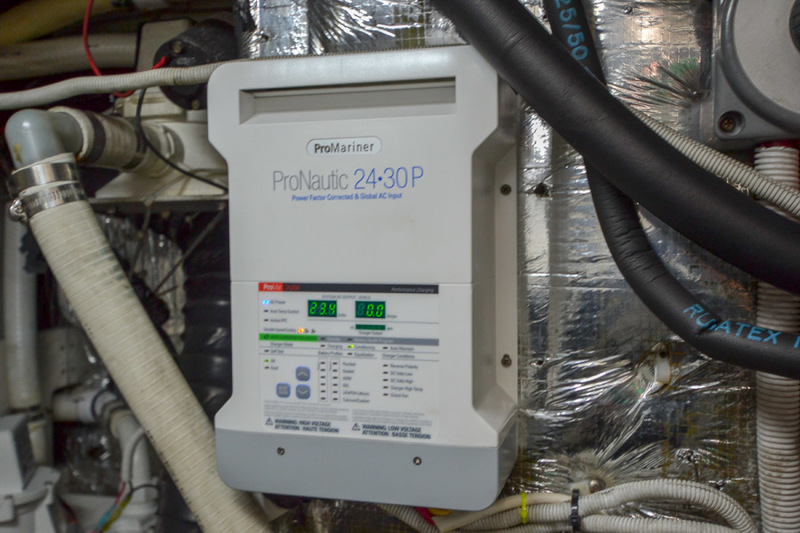 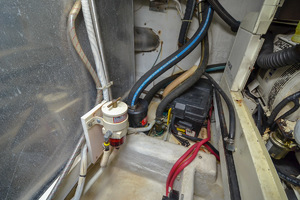 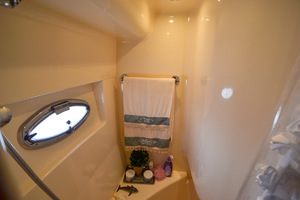 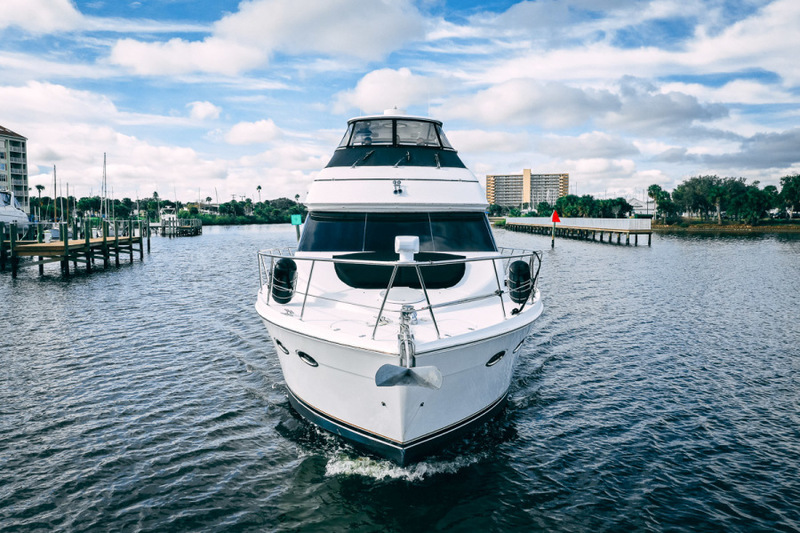 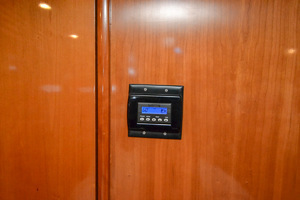 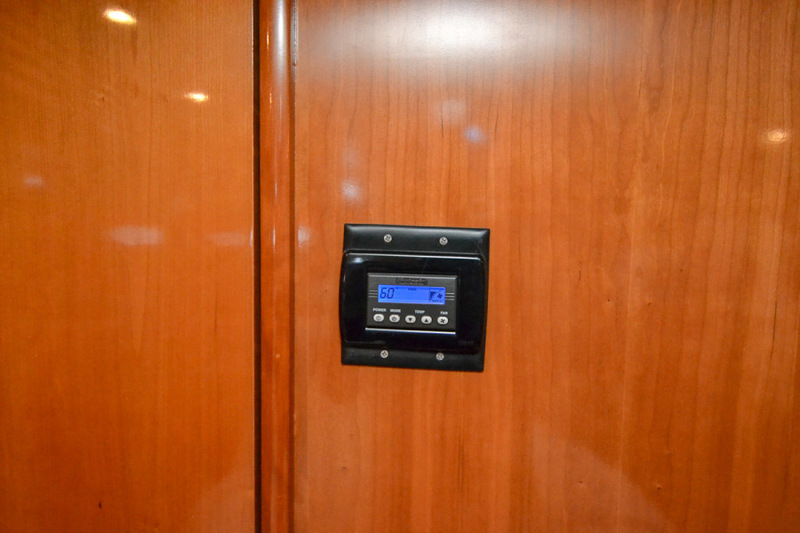 This yacht for sale is located in Daytona Beach, Florida and priced at $299,900. For a showing please contact us by filling out the form on this page and we will get back to you shortly!